November 6, 2014. China is one of the largest generic drug markets in the world. Currently, more than 95% of Chinese Food and Drug Administration (CFDA) drug licenses are for generics and non-comparable biologics products. In most international markets, the expiration of patents usually means drug innovators lose their grip on the majority of the market, but we don’t see the same happening in China. Drug multinationals don’t necessarily experience such dramatic drops in revenue once their patents expire. Most of the innovative drugs are able to maintain about 40% to 50% market share three years after their patents expire. This is largely because Chinese doctors and patients still believe that original drugs outperform generics in terms of efficacy, lower risk of side effects etc. According to the World Health Organization’s 2009 Year Book, China only has six drugs in the global procurement list, while India has 194. Such gaps only add to the perception that Chinese generics are not up to global standards yet. It is a fact that Chinese manufacturers do a good job in imitating patented drugs, including making the correct molecules, crystal forms, chirality and impurity controls. So what has been holding China’s generic producers back from reaching global standards? Here is a quick review. Chinese generics products often stumble when it comes to replicating the drug simulation process in the laboratory during mass production. A chief doctor in Peking Union Medical College Hospital launched a laboratory trial to test the dissolubility of Metformin Hydrochloride Tablets (one of the most popular diabetes drugs) from 14 different manufacturers in China. It was discovered that some drugs dissolved within 20 minutes, while some dissolved by less than 30% after 50 minutes. The dissolution profiles also differ dramatically. Mass production normally requires high consistency of five major factors: API (active pharmaceutical ingredient), auxiliary material, manufacturing equipment, manufacturing procedure and operation quality. Many of China’s domestic generics companies do not design a perfect manufacturing procedure and do not provide operators strict training and monitoring, which makes the features and quality of their products vary largely. Hence, the different test result of 14 same products is not that surprising. After Chinese officials set up the Good Manufacturing Practice (GMP) regulations as a standard for pharmaceutical plants in 1998, there was an explosion of new pharmaceutical production applications, particularly between 2002 and 2006. The rush of applications led to relatively lenient review processes, and many under-qualified companies passed through. There are currently no strict regulations on how control groups are defined. Often, trial designs in local generics producers are unable to prove their product quality beyond any element of doubt. China started implementing stricter market controls after 2006, as the CFDA started to slow down the approval process. As a result, here are currently more than 10,000 generics applications waiting for review. Other issues now hold back Chinese generics, most of which are related to registration processes, which often last at least four years even for some of the innovative products in China. M-Brain (formerly GIA) estimates that most drugs in China require five to eight years to acquire production licenses in order to even enter the market. These lengthy market entry approval processes are not likely to improve anytime soon, mainly due to three constraints. In China, generics clinical trials require approval from the CFDA. It takes six months to a year to acquire a clinical trial approval in China, which lengthens the total application period. In contrast, the US Food and Drug Administration (FDA) does not require companies to get approval to conduct clinical trials. The FDA only reviews trial results. There are approximately 5,000 pharmaceutical companies in China, including both generics and original drugs producers. Such an immense number creates an extremely heavy load for about 100 CFDA staff. By comparison, the FDA has 4,000 staff. Due to strict customs controls, generics manufacturers in China find it extremely difficult to obtain the originators that act as the control groups in their clinical trials. This often results in costly delays or even cancellations of clinical trials. Developing drugs in China is a costly affair due to such delays, not only in terms of the millions of dollars invested in research and development but also in the delays in getting life-saving products to needy patients. There are reasons to be optimistic about the future, both for international pharmaceutical manufacturers as well as domestic generics suppliers. 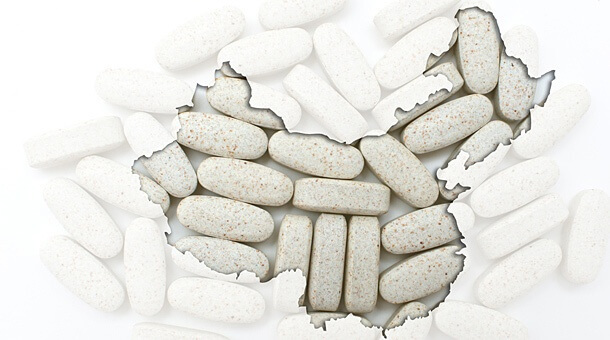 To lift the overall quality of China’s generics and NCB products, the CFDA has implemented a thorough review process in 2013 for all the generics and NCB approved before 2007. By 2015, reviewed and disqualified products in 75 categories will have their licenses revoked. In addition, the CFDA issued new GMP standards in 2010, which are much stricter and more in line with European GMP standards. This has made acquiring the certificates for all the manufacturers much more difficult. M-Brain (formerly GIA) estimates that many small-scale pharmaceutical plants that lack the ability to meet higher international standards will not be able to meet such strict standards and hence leave the industry. For multinationals, M-Brain (formerly GIA) believe they will benefit from stricter regulations by the government. Generics and NCB with low quality level would no longer compete in this market. However, they should also keep a close eye on the remaining generics manufacturers who might have flexible sales practices and strong distribution networks. Domestic generics and NCB companies also have some unique advantages which multinationals don’t necessarily share. For example, they may have strong local government backing, support from some critical key opinion leaders who are the most important clients in a certain therapeutic area, or have improvements on the product property. To compete with them and prevent rapid revenue drops, multinationals must know their competitors well and set up defensive strategies. For generics and NCB companies, M-Brain (formerly GIA) believes that they also face opportunities. Since many manufacturers faced difficulties in passing the GMP, large manufacturers can merge or acquire small manufacturers and retrofit to GMP-qualified sites, thus acquiring new product licenses and utilizing their production capacities. The recommendation for large generic & NCB manufacturers is to invest clinical trials (head-to-head trials with branded products are the best choice) and acquire enough domestic clinical evidences to convince physicians about their product quality. Strong clinical trial results, together with price advantages, will mean that generics manufacturers too can capture majority market shares.